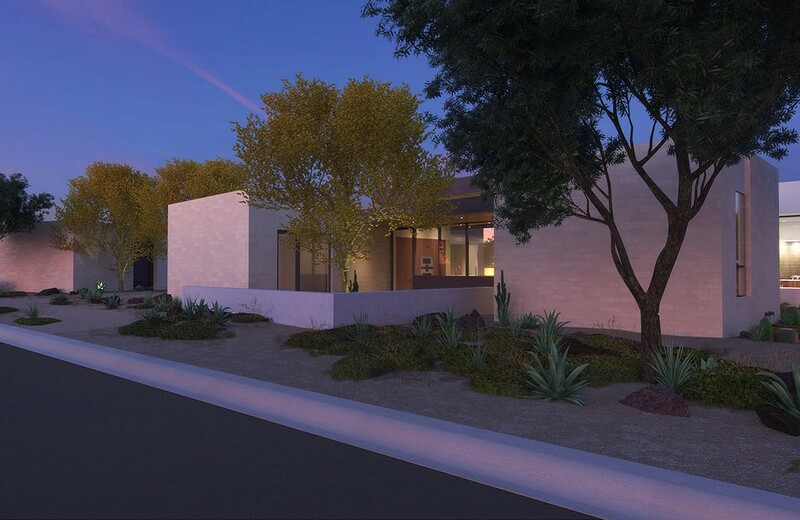 This new home community by local architect Scott Roeder of StudioROEDER and La Casa Builders offers desert modern architecture paired with elegant simplicity. Gracious entry space gives way to expanse, which leads to private sanctuary. 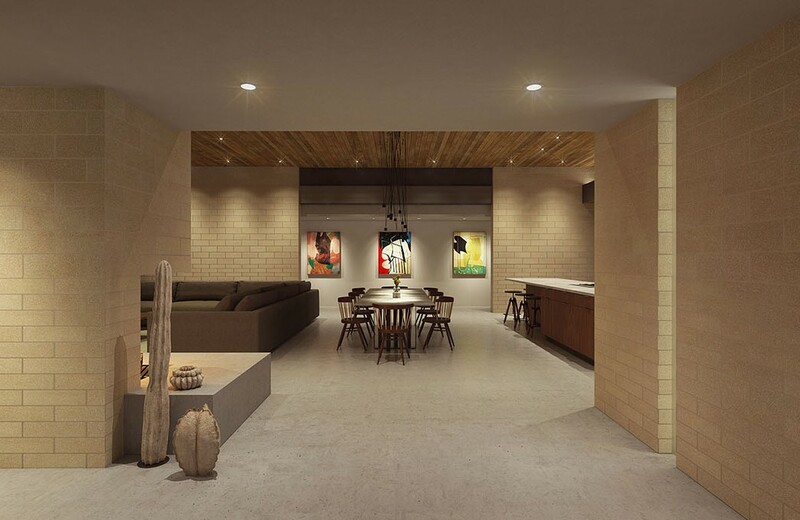 Classic proportion, enduring materials and visual clarity create an engaging sense of place. Interior meets exterior living. Conveniently located at the intersection of Scottsdale and Paradise Valley. 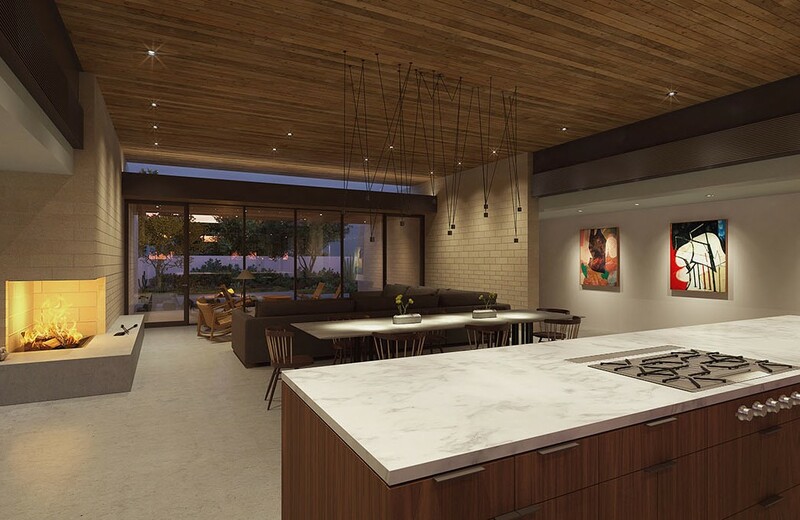 Nestled among well-established neighborhoods, just north of downtown Scottsdale, in the artist enclave of Cattletrack area (which we wrote a blog about in 2014) Palo Verde Lane is like no other community in the greater Phoenix area. While the architecture is modern, the homes manifest the enduring characteristics of the materials used to create them: the warmth of wood, the permanence of natural quarried stone, and the openness of glass. Though only a stroll from upscale restaurants and shops, Palo Verde Lane honors its desert heritage. From its very inception, the community has been designed to harmonize with the environment and cultivate neighborliness among its residents. Unlike most other gated communities, Palo Verde Lane is not hidden from view behind barriers that interrupt, and become, the scenery. Nor are there walls to segregate the individual properties within. The landscaping and security structures surrounding the community work in unison to provide privacy, yet promote visual flow. Palo Verde Lane has been carefully choreographed to achieve the ideal integration of aesthetics and function, interior and exterior spaces, privacy and transparency. Live among neighbors who share your vision of community, close to everything the Scottsdale Waterfront and adjacent areas offer. With just seven homes available for purchase, the chance to be part of this unique community may not last long. Final taxes not assessed. Developers writes contract: one-time close financing or cash. Sales subject to buyer’s approval of ADRE Public Report. Renderings are interpretations of built environment. Subject to errors, omissions, substitution or change. To Be Built. One spec under construction, available for sale as listed, completion 2019. Options available, call for details. HARD HAT SITE! CALL FOR ACCESS! * All figures and measurements approximate: subject to error, omissions, withdrawal, prior sale and approval of purchase by owner.